Following the RA’s sold-out course last year, international artists, curators and art world experts will return to explore both aesthetic and philosophical themes around the transience of life and their use in contemporary art. Memento mori are broadly understood as symbolic reminders of our mortality – the limits and transience of life. They can take any form including painting, sculpture, jewellery or costume. They exist across art forms from the fine and visual arts, and also music and dance. They can be grand or small and personal. Vanitas is a related but broader genre of the arts concerned with the ephemerality of life. Vanitas warn that the earthly pleasures have limitations and should be treated accordingly - the trappings of power and riches, beauty and luxury all have a definite end. The aesthetic and philosophical treatment of the themes of memento mori and vanitas date back to the ancient world and have been explored by artists over the ages and across cultures. On the one hand the transience of life is something that unifies us all, but on the other, the treatment of mortality, its implication and visual representation, has evolved over time and differs dramatically across cultures. Taking place over 10 weeks, this course will explore contemporary art and craft through the lens of memento mori and vanitas. The course has a broadly thematic sweep with sessions including memento mori in the fashion industry; the representation of vanitas in theatre; as well as the eternal analyses of the skull as an artistic memento mori representation. Notably, in an era which has seen the democratisation of culture on the one hand and the emergence of mass consumerism on the other, contemporary artists still explore and evoke themes which challenge and question the transience of life and earthly pleasures. In a world riddled with uncertainty, the exploration of such themes could not be more timely. The course provides an interdisciplinary perspective on core themes in the history and philosophy of contemporary art with consideration across the fine arts and the decorative arts. Leading contemporary artists, art world practitioners and international curators will analyse the art history canon as a way to explore artworks and objects of the 21st century which have changed the way we see, think and understand our lives, our limitations and our destiny. Image Credit: Damien Hirst, For the Love of God, 2007. © Damien Hirst and Science Ltd. All rights reserved, DACS/Artimage 2017. Photo: Prudence Cuming Associates Ltd.
6.30–8.00pm each week (registration from 6pm). £420 for full course, £260 for weeks 1–5 OR weeks 6–10. Includes all materials and wine reception at the end of session 5 and session 10. During the ten course sessions, leading curators, professionals and international contemporary artists present and consider the contemporary representations and connotation of the vanitas, often defined as the skull mania of our age. It is a unique and unconventional opportunity to understand contemporary art and other creative industry such as jewellery and fashion. This course is available to book as a full ten-week course OR as two individual blocks of five weeks. • A rich combination of lectures, discussion and the opportunity for expert-led answers from a range of art world speakers, including an expert discussion of the Royal Academy’s Bill Viola Exhibition and his treatment of birth, life and death. Katharina Brandl (1986) is the artistic director of Kunstraum Niederoesterreich in Vienna and a research and teaching associate at the chair of art theory at the University of Basel. She studied political science (Mag.) and art history (BA) at the University of Vienna, as well as critical studies (MA) at the Academy of Fine Arts in Vienna. Previously, she has worked in research funding & communications and as researcher, writer, curator and manager in the arts – for example as researcher and managing editor for the Austrian contribution to the Architectural Biennale in Venice in 2014, as head of an international studio- and residency program and as tutor at the Department for Art History of the University of Vienna. Besides her work in the arts and in academics, she co-founded the feminist NPO Sorority and co-founded (with Therese Kaiser) the feminist festivals Business Riot and Rrriot. Since 2016, she is mainly based in Basel, where she works on her PhD in contemporary art, first as a fellow of eikones – Zentrum für die Theorie und Geschichte des Bildes, now as an associate at the Department of Art History. She recently curated (with Daniela Brugger) the exhibition Magic Circle at Kunstraum Niederoesterreich, which focused on the recent interest in the figure of the witch in contemporary art. Dr Johanna Braun is an artist, curator, scholar and Erwin Schrödinger PostDoc Fellow (funded by the Austrian Science Fund) at the University of California, Los Angeles, Stanford University and the University of Vienna. She holds an MFA and PhD from the Academy of Fine Arts Vienna and participated in numerous exhibitions internationally. Her interdisciplinary work was awarded with grants by the Arts and Culture Division of the Federal Chancellery of Austria (2014, 2015 and 2017), an Emanuel-and-Sofie-Fohn Foundation scholarship (2015), and a research scholarship of the City of Vienna (2016). Braun recently published her monograph All-American-Gothic Girl: The Justice Seeking Girl in US Narratives (Passagen Verlag, 2017) and edited the artistic-philosophical anthology Beschwörungsrituale (Turia+Kant, 2016), in conjunction to numerous contributions to anthologies, art catalogues, and journals. Currently, she is editing two anthologies on Hysteria––one on migrating images of hysteria in contemporary culture (Leuven/Cornell University Press) and one on Hysteria, language and protest culture (Palgrave Macmillan)––both are forthcoming in 2019. Together with Katharina Brandl she is co-editing the anthology Witchcraft Hysteria, Performing Witchcraft in Contemporary Art and Visual Culture (forthcoming in 2019). Her academic and artistic research focuses on visual culture, (media) philosophy, performance studies, and intermediality. He has been the director of the 50th Venice Biennale in 2003, the curator of the 75th Whitney Biennial of American Art in 2010 and in 2000 the 3rd Manifesta. In 2003 at the Museo Correr he has curated the painting show From Rauschenberg to Murakami :1963/2003. He has curated Yan Pei Ming and Damien Hirst exhibitions in Qatar for the QMA . At the MCA in Chicago he was the curator of Jeff Koons’ and Rudolf Stingel’s surveys. In 2013 at Palazzo Reale in Milan he has curated an exhibition of Bob Dylan’s paintings. Mr Bonami has curated exhibitions at The Walker Art Center in Minneapolis, The White Chapel, The National Museum in Seoul, The Hara Museum in Tokyo, Gagosian Gallery, Barbara Gladstone Gallery in New York and Brussels, Blum&Poe in Tokyo. Mr Bonami is currently collaborating with Renzo Piano and RPBW at the JNBY art center in Huangzhou. He has conducted programs on contemporary art for Italian television and he’s the author of several books on contemporary art like the bestseller such as Lo Potevo Fare Anch’io (I could have done that too) and Maurizio Cattelan Autobiografia non autorizzata(Maurizio Cattelan Unauthorized autobiography) all published by Mondadori. In 2019 Feltrinelli will publish his book Post: L‘opera d‘arte all‘epoca della sua riproducibilità sociale (Post: Artworks at the time of its social reproducibility). In 2010 he received the Legion d‘Honneur from the French Republic. He’s the Honorary Director of the Fondazione Sandretto Re Rebaudengo for the Arts and he is the artistic director for JNBY Art Matters in Huangzhou ,China. Francesco Bonami was born in Florence in 1955 lives between New York and Milano. Professor Claire Wilcox has curated many exhibitions at the V&A including Radical Fashion (2001), Vivienne Westwood (2004), The Golden Age of Couture: Paris and London 1947-1957 (2007), From Club to Catwalk: London Fashion in the 1980s (2013) and Alexander McQueen: Savage Beauty (2015) and most recently Frida Kahlo: Making Her Self Up (2018). She instigated Fashion in Motion (live catwalk events in the Museum) in 1999. She has published widely, from exhibition catalogues to The V&A Gallery of Fashion, to accompany the redisplay of the Museum’s permanent fashion display for which she was Lead Curator. Ann Gallagher has been co-Director of Tate’s Collection since 2006. She leads the team of curators responsible for building and researching Tate’s Collection of British Art, and specialises in modern and contemporary British art, as well as Latin American art from 1950. She was the curator of the exhibitions Hélio Oiticica: The Body of Colour at Tate Modern in 2007, Susan Hiller at Tate Britain in 2011, Damien Hirst at Tate Modern in 2012, and Rachel Whiteread at Tate Britain in 2017 (this exhibition has been co-organised with the NGA Washington, where it opened in September 2018). She oversees Acquisitions Management at Tate and chairs Tate’s Loans Committee. Before joining Tate in 2005 she was Senior Curator in the Visual Arts department of the British Council, where she acquired work for their collection and curated many exhibitions, including the 1997 (Rachel Whiteread) and 2001 (Mark Wallinger) Venice Biennale exhibitions in the British Pavilion, and a series of co-curated exhibitions which took place in Latin America. 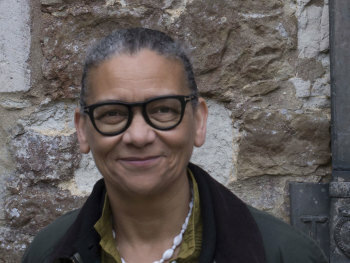 She has written and lectured widely in her specialist area and recent publications include Tacita Dean: Film in Connecting_Unfolding, MCA Seoul, ‘Speculative Spaces’ in Jose Damasceno, Ridinghouse, London and Zarina Bhimji, Heni Publishing is forthcoming. Andrea Tarsia is Head of Exhibitions at the Royal Academy of Art, overseeing the delivery and development of the Academy’s world-renowned exhibitions programme. He trained in Art History and Film, specialising in post-war and contemporary art. Tarsia previously worked for the Institute of Contemporary Arts and the Whitechapel Gallery (among others) and curated many critically acclaimed international exhibitions including Live In Your Head: Conceptual and Experimental Practices in Britain 1965-75; Early One Morning: New British Sculpture; A Short History of Performance, Parts I-IV; Gerhard Richter – Atlas and Sophie Calle: Talking to Strangers and most recently Bill Viola / Michelangelo Life Death Rebirth. He has also contributed to numerous publications and scholarly catalogues and while at the Whitechapel he helped devise and taught on an MA Course in Curating, in conjunction with London Metropolitan University. He has been a guest lecturer at several universities and art colleges across the UK. Mat Collishaw (b. 1966) received his BFA from Goldsmith College, London, in 1989 and began his career exhibiting the acclaimed work Bullet Hole alongside his Goldsmiths contemporaries at the legendary show Freeze in 1988, and at Modern Medicine in 1990. Both shows were renowned for the rise to prominence of the YBAs (Young British Artists). Collishaw’s work has been exhibited in numerous solo shows around the world, including: Standing Water, Galerie Rudolfinum, Prague; Black Mirror, Galleria Borghese, Rome (2014); Afterimage, Arter, Istanbul; Mat Collishaw, Bass Museum of Art, Florida; THIS IS NOT AN EXIT, Tanya Bonakdar Gallery, New York (both 2012); Life/Live, Musée d‘Art Moderne de la Ville, Paris and The Brooklyn Museum, New York (1998). Collishaw’s work can be found in public collections globally, including; Arter Foundation, Istanbul; British Council Collection, London; Centre Georges Pompidou, Paris; Galleria Civica d‘Arte Moderna, Torino; Museum of Contemporary Art, San Diego; Museum of Old and New Art, New South Wales; Olbricht Collection, Berlin and Tate, London. Blain|Southern, Other Criteria and Thames & Hudson have published books with Collishaw’s work and he won XVI edition of the Pino Pascali Prize in July 2013. The artist lives and works in London. Dimitri Ozerkov is a Russian art historian and curator. Since 2007 he has held the posts of Head of the Contemporary Art Department of the State Hermitage Museum, St. Petersburg, and Head of Hermitage 20/21 Project for Contemporary Art, which involves collecting and displaying modern art in a traditional museum. A graduate of the Art History Department of St. Petersburg State University, he became curator of 15th to 18th-century French engravings at the State Hermitage Museum in 1999 and researched the history of the Imperial Room. In 2003 he received his PhD from St. Petersburg State University. Under the auspices of the Hermitage 20/21 Project he has curated or organised over 40 exhibitions, featuring art by Jake and Dinos Chapman, Chuck Close, Win Delvoye, Antony Gormley, Ilya Kabakov, Henry Moore, Jan Fabre, Anselm Kiefer and other American, British and Japanese artists. In 2011 and 2015 he led the State Hermitage projects for the Venice Biennale, exhibiting Dmitry Prigov and Glasstress 2015 Gotika. Dr Anna M Dempster is Head of Academic Programmes at the Royal Academy of Arts in London and is a College Research Associate at Wolfson College, University of Cambridge. She has written extensively on the creative industries and visual arts with a long-standing interest in Risk and Uncertainty in the Art World, publishing a book of this title. Dr. Dempster was previously Associate Professor in Art Business at Sotheby’s Institute of Art, running the Art Business, Finance and Management Unit. She was Director of Research, Creative Industries Observatory, University of the Arts and Founding Director of the MSc/MA in Creative Industries at Birkbeck College, University of London. She has worked in leading academic institutions including the University of Cambridge, London Business School and Rotterdam School of Management. She holds a BA and MPhil in History from the University of Cambridge, and a PhD from the Judge Business School, Cambridge, UK. Rob and Nick Carter are a husband and wife artistic duo who have been collaborating for over 20 years. The Carter’s work is centred on the boundaries between the analogue and the digital and has taken many mediums including camera-less photography, painting, installation, neon, sculpture and time-based media. Their acclaimed Transforming series has been 10 years in the making and creates a unique intersection between the art of the past and cutting-edge computer-generated imagery. Their work is housed in the collections of the Frick, Pittsburgh; Mauritshuis, The Hague; Frans Hals Museum, Haarlem; Victoria & Albert Museum, London; David Roberts Foundation, London; Städel Museum, Frankfurt; and the Fondation Custodia, Paris. 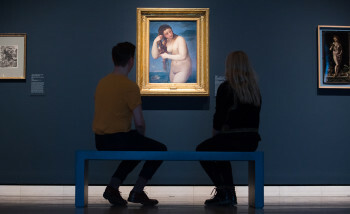 They are also the only living artists to show a work at the Frick Museum, New York. Georg Hornemann is one of the most acclaimed contemporary goldsmiths and has won almost every international award since the late 1960s. In 1973 he founded his own studio in Düsseldorf. Considering himself both a goldsmith and a sculptor his œuvre reaches far beyond the conventional perception of traditional jewellery making. In 2012 Georg Hornemann was honoured with a solo exhibition at the Lehmbruck Museum and in 2013 at the Cologne Museum of Applied Art. Since the mid 1980s he has been working together with his son Alexander, who is now running the company in Berlin and Düsseldorf with his wife Claudia. Claudia Hornemann has a long standing experience in marketing and communication at the intersection of art. She worked at the Kunstsammlung NRW and consulted companies and museums on art collaborations. Since 2014 she has been fully dedicated to the family business.